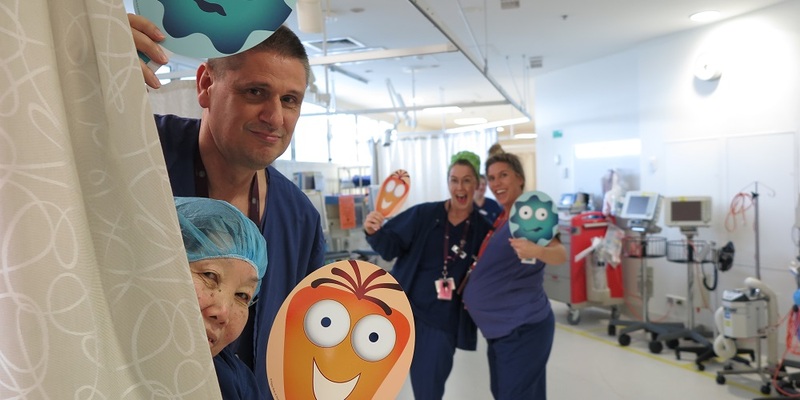 The Royal Women’s Hospital is leading the Happy People pilot program in partnership with ABC Commercial, which will be rolled out to nurses and midwives working at the Women’s, Peter MacCallum Cancer Centre, Melbourne Health, the Ballarat Health Service and throughout parts of the Grampians Health Region. Executive Director of Nursing and Midwifery, Adjunct Professor Tanya Farrell, who is leading the project, says hospitals are keen to identify new ways to assist nurses and midwives to manage their sleep, improve their moods and maintain their energy levels. “Nurses and midwives provide such a key role to the health of Victorians and their own wellbeing is of upmost importance,” she said. The Happy People program, which is funded by the Victorian Department of Health and Human Services, was launched by the Minister for Mental Health, the Hon Martin Foley MP today at the Women’s. One of the nurses taking part in the pilot is Carmen Barry who works in the Women’s theatre team helping patients undergoing surgery such as caesarean births or for a gynaecological condition. ABC Commercial CEO Robert Patterson said that companies have realised that having happy, resilient and energised staff doesn’t simply lead to a safer workplace, it boosts productivity and keeps people well longer. The Happy People pilot program was developed by ABC Commercial and will be evaluated by Macquarie University. Our graduate nurses and midwives are celebrating after completing their final professional development day. The Oscar and Luca Fund has awarded two scholarships to the Women's nurses for their graduate certificates in neonatal intensive care.